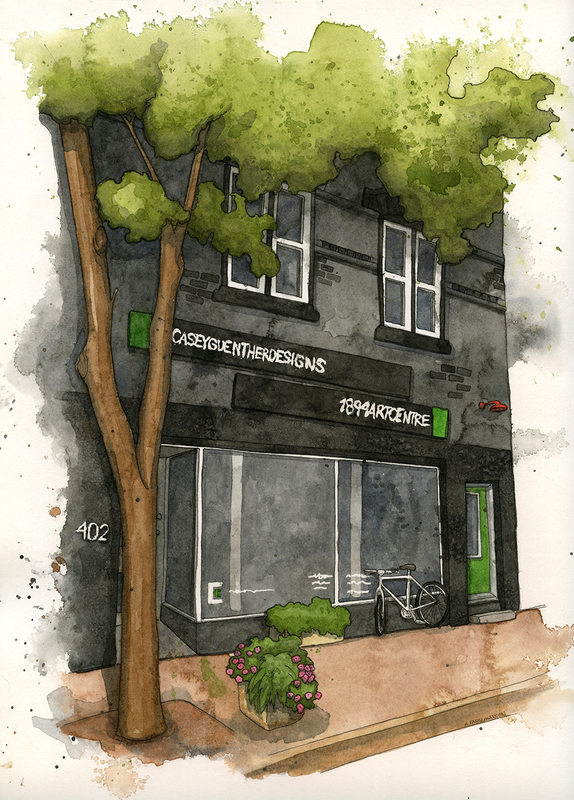 Mar 9 Storefront Illustration Winner: Casey Guenther Designs! The bicycle is what really makes this picture. Yay for cycling! Here's the original picture of this storefront. It occurred to me the other day that I have never shown before or after pictures. Then I felt kind of like a marketing failure. So here they are! This was my first time trying to make a white logo using resist/frisket. Hopefully Casey doesn't mind that it looks like his perfect modern logo font is actually hand painted by a two year old with a 5 inch paintbrush. Hahaha! Seriously, though.... I am pretty happy with this. The only way it could have looked like the same font is if I added it after in photoshop, and that just didn't feel authentic. 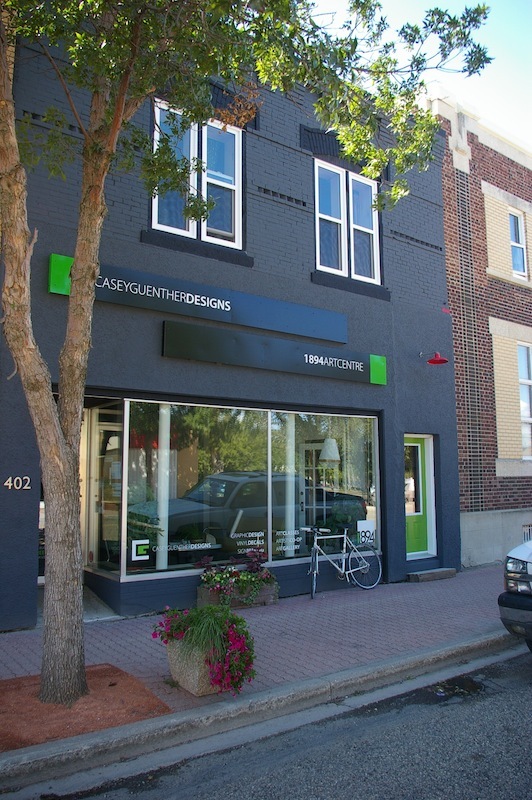 Casey and Christina renovated this building in Boissevain, MB and opened as both Casey's graphic design business and as an art centre. I know I'm biased (by being an artist), but I really love art centres! They also live above the store. I've also heard from Amy (multiple times) that they are super amazing and talented and fun and that I would LOVE them. So now I have to obviously somehow make it to Boissevain. Road trip to Manitoba, anyone?